Amphotericin B is the main therapeutic agent for the treatment of invasive fungal infections; however, it is associated with significant toxicities that limit its use. Other systemic antifungal agents have been developed to improve tolerability while maintaining the efficacy profile of conventional amphotericin B. Fifty-four studies involving 9,228 patients were assessed for the frequency of adverse effects of the main systemic antifungal agents. While the results suggest that liposomal amphotericin B is the least nephrotoxic of the lipid formulations (14.6%), that conventional amphotericin B is the most nephrotoxic (33.2%), and that itraconazole is the most hepatotoxic (31.5%), the lack of standard definitions of antifungal-related adverse effects limits the validity of these results. Furthermore, heterogeneous patient pools and differing protocols make it difficult to draw direct comparisons between studies. With the advent of newer classes of systemic antifungal agents, future trials should conform to definitions that are universally applicable and clinically relevant to allow for such comparisons and to enable evidence-based decision-making. 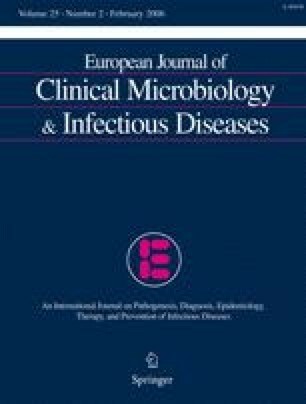 Editor’s note: This is a corrected and republished version of the original article that appeared in the European Journal of Clinical Microbiology & Infectious Diseases [Eur J Clin Microbiol Infect Dis (2005) 24:119–130], in which multiple references were omitted or incorrectly numbered due to a technical error. Invasive fungal infections are a major source of morbidity and mortality in susceptible patients. Systemic antifungal medications are therefore given curatively to patients with proven infection or empirically to at-risk patients with suspected fungal infections. Since the 1950s, deoxycholate amphotericin B (AmB) has been the main therapeutic agent for fungal infections; however, it is associated with significant toxicities that limit its use, including infusion-related reactions, nephrotoxicity, hypokalemia, and hepatotoxicity . Lipid formulations of AmB have been developed to improve tolerability while maintaining or even improving the efficacy profile of conventional amphotericin by allowing higher doses [2, 3, 4, 5]. AmB lipid complex (ABLC) injection (Abelcet; The Liposome Company, Princeton, NJ, USA) was the first lipid-based formulation approved by the Federal Drug Administration (FDA) in the USA (in December 1995). In 1996, AmB colloidal dispersion, or ABCD (Amphocil; Sequus Pharmaceuticals, Menlo Park, CA, USA), was approved in the USA. Although available commercially outside of the USA for several years, a third product, liposomal AmB, or L-AmB (AmBisome; NeXstar Pharmaceuticals/Fujisawa, San Dimas, CA, USA), received FDA approval in 1997. A majority of patients receiving these newer formulations have demonstrated intolerance to AmB or are documented to have Aspergillus infections refractory to AmB conventional therapy [3, 6, 7, 8, 9, 10]. Certain azoles are also used to treat invasive fungal infections. Fluconazole (Pfizer, New York, NY, USA) is a triazole antifungal agent approved for use in systemic candidiasis and is generally well-tolerated. Adverse effects, including hepatotoxicity, are reported only rarely. Itraconazole (Janssen Pharmaceutical Products, Titusville, NJ, USA) is a broad-spectrum synthetic triazole whose most common reported adverse effects are gastrointestinal disturbances, including nausea, abdominal pain, and diarrhea . More serious hepatic toxicity and cardiac effects have also been reported. Finally, drug interactions with itraconazole can occur as a result of its inhibitory effects on the cytochrome P450-dependent enzymes, and investigators using this antifungal agent have been advised to exclude patients receiving certain medications . In this review, we attempt to assess the frequency of adverse effects of the antifungal agents studied and compare the toxicity profiles of antifungal agents included in randomized controlled trials. We also demonstrate the difficulty in comparing the toxicities of the different agents due to the variety of definitions and study protocols encountered in the literature. We searched the MEDLINE, Embase, and Pascal electronic databases for data from 1990 to May 2002 using a strategy based both on keywords and natural language and using the “explode” function. In addition, the database in the Medical Mycology Reference Laboratory in Lyon, France, was reviewed with expert assistance, and references were manually searched for data from the years 1990–2002. The search was limited to human studies and to articles published in English, French, and Spanish. Review articles were excluded from the analysis but retained for the discussion. Randomized controlled trials and nonrandomized cohort studies of antifungal medications were eligible. Studies were included primarily on the basis of availability of the required information to define a numerator and a denominator for calculations of rates of adverse effects. In the case of missing information, the primary authors were contacted by electronic mail when possible to request details of the study. Decisions on which trials to include and which variables to use when several options were available for the same outcome were made by three reviewers (B.R.G.P., S.B.G., and F.C.). Details on antifungal medications, invasive fungal infections, infusion-related reactions, nephrotoxicity, hepatotoxicity, hypokalemia, and reasons for discontinuation of the study drug were extracted by two reviewers separately (B.R.G.P. and S.B.G.). Differences in the data extracted were resolved in consultation with the third reviewer (F.C.). We considered the randomization method concealed if the investigators reported central or computer randomization, sealed envelopes, or pharmacy codes. Allocation concealment was considered only if it was specifically described. Studies were excluded if data was accounted for in another article; if study patients consisted of neonates or infants; if the publication consisted of a letter, a case report, a small case series (<10 patients), or a report of case controls; if the study reported laboratory or survey data without clinical correlation; or if toxicity information was not reported at all. The following data were extracted from each article: study characteristics, patient characteristics, study drug information, and toxicity information. Data on study characteristics comprised the following: year of publication, country of patients, dates of study, funding sources, study design, blinding of study (if applicable), indication for antifungal medication (prophylactic, empiric, curative), condition being treated (fever alone, candidiasis, aspergillosis, other), and definitions of outcomes. Patient characteristics consisted of inclusion criteria, exclusion criteria, underlying conditions, mean/median age, neutropenia, renal insufficiency, and use of concomitant nephrotoxic medications. Study drug information included prescribed dose, route, mean/median duration of treatment, and mean/median cumulative dose. Toxicity information consisted of definitions of toxicity/adverse events; total number of adverse events; patients with infusion/ingestion-related reactions; patients with nephrotoxicity, including hemodialysis; patients whose renal function improved; patients with hepatotoxicity; patients with hypokalemia; discontinuation of study medication due to adverse events; and duration of follow-up. Study participants included hospitalized patients with proven, probable, or suspected invasive fungal infection, as defined by the researchers within each study. Study drugs included intravenous conventional AmB, ABLC, ABCD, L-AmB, and fluconazole or itraconazole given intravenously or orally. To determine criteria and definitions of adverse effects, we first extracted all definitions used in all included studies. We then developed a computer database that included criteria for toxicity, as described most often in the studies. Finally, we selected the most frequently used definitions for performing this analysis. Using this method and for this analysis, we grouped infusion-related and acute drug reactions into the following categories: fever with or without rigors, nausea with or without vomiting, rash, bronchospasm/cough with or without dyspnea or hypoxia, and reaction requiring discontinuation of the study drug. Episodes of chills, headache, and flushing were not analyzed separately, as we could not consistently determine if these reactions occurred together or singly in individual patients. A wide variety of gastrointestinal side effects were reported, such as nausea, vomiting, abdominal discomfort, and diarrhea. Again, we were not able to distinguish single episodes from generalized gastrointestinal upset in individuals. Rash was not further characterized in the trials. Reported respiratory symptoms included asthma-like bronchospasm, cough, dyspnea, and hypoxia. We used only the terms “bronchospasm” and “cough” to indicate respiratory-related adverse effects in this analysis. By choosing to focus our definitions in this way, we necessarily underreport the total number of acute drug reactions and leave considerable uncertainty as to the underlying cause or severity. “Nephrotoxicity” was defined in this analysis as a twofold increase in baseline serum creatinine, regardless of underlying renal insufficiency, and “hypokalemia” as a serum potassium concentration of <2.5 mEq/l. This restrictive definition for hypokalemia was required because it was the most frequently reported reaction across studies, although this naturally results in underreporting, especially where potassium replacement was used at a higher cut-off level. Finally, “hepatotoxicity” was defined as an increase in serum transaminase, alkaline phosphatase, or total bilirubin concentrations of three times the baseline or more, regardless of baseline levels. To report the frequency of adverse effects across all patients in all trials, we divided the trials into treatment subgroups of patients, each receiving a distinct antifungal agent or different doses of the same antifungal agent. For each adverse effect criterion, subgroups were assessed for clinical homogeneity, and then a Cochran Q test was performed to ensure statistical homogeneity . When subgroups were not heterogeneous, the data were pooled so that one global incidence rate was available per toxicity criterion and per study drug. Data to be combined went through a quality control process with rechecking of the numerator and denominator. The incidence was computed with a weighted mean of individual studies’ incidences . As events in some studies were rare (<5 patients), the conditions for normal approximation methods for confidence intervals were therefore not fulfilled, and we chose to use a combination of study-specific confidence intervals based on the F-distribution using a rescaling factor . Study prevalences of 0% and 100% resulted in corrections of +0.5 and −0.5 cases, respectively. The patient risk groups and the doses and durations of the study medications were also scanned manually to determine whether these impacted the incidence of adverse effects. Finally, a global Q test was computed to assess heterogeneity between subgroups. When randomized controlled trials were available, data were exported to the RevMan package (version 4.1.1; Cochrane Collaboration, Oxford, UK) and a meta-analysis was performed with a fixed-models odds ratio. We identified 84 studies that fit our selection criteria. Of these, 30 studies were excluded due to methodological or reporting issues. These are available on request. The remaining 54 studies, which included 9,228 patients, were used in this analysis and are described in Table 1. The study drug was given empirically for fever in 10 studies, curatively for proven infection in 14, and both empirically and curatively in 30 studies. Study medications varied in terms of prescribed dose, average actual dose (after dose adjustments), and duration of treatment, resulting in a range of cumulative doses. We report these variables in the nephrotoxicity analysis. Study participants also consisted of patients with a variety of underlying conditions, including hematologic malignancies, bone marrow transplants, solid tumors, and solid organ transplants. These patient groups were rarely reported separately in terms of adverse effects and so are not further described in this review. Table 2 outlines infusion-related and acute drug reactions. Infusion-related reactions, when defined, generally referred to adverse events occurring during infusion or for up to 1 h after infusion with the study medication. Similarly, trials with oral medications reported acute drug reactions linked with study drug ingestion. The severity or type of reaction was reported only occasionally, and the heterogeneity of definitions and patient conditions made it difficult to derive specific quantitative criteria. Many studies did not comment on the use of premedications, which are often used to reduce the frequency and severity of infusion-related reactions. Some did specify that the first dose of the drug was given without premedications, but that subsequent doses were premedicated at the discretion of the medical team. Even if the use of premedications was reported, outcomes were rarely specified as to whether these were used for patients experiencing adverse events. Infusion-related reactions were systematically reported in 48 studies. The frequency of fever was not dose-dependent, but ranged widely from 4 to 100% for AmB, from 0 to 36% for L-AmB, and from 12 to 88% for ABCD. Nausea with or without vomiting was reported most often for patients receiving itraconazole (19.7%, range 6–24%). Using a broad grouping of respiratory symptoms—bronchospasm or cough with or without dyspnea or hypoxia— these effects were reported more frequently with itraconazole (9.4% of 223 patients) and ABLC (8.5% of 307 patients) than with conventional AmB. Discontinuation of the study drug due to infusion-related reactions was, surprisingly, two times higher with ABCD and ABLC than with conventional AmB, and probably due to the limited alternatives to AmB between 1990 and 1995 and to the fact that many patients on newer agents had failed AmB therapy, a discontinuation that was not considered in this analysis. In the meta-analysis, 11 randomized controlled trials reported fever in patients receiving study medications: fluconazole vs AmB [17, 18, 19, 26, 32], L-AmB vs AmB [25, 28], ABCD vs AmB [27, 30], and ABLC vs L-AmB [31, 34], but a majority of these studies were too heterogeneous to be pooled. With the exclusion of the German study by Abele-Horn et al. , which used a dose of fluconazole inconsistent with the four other studies, trials comparing fluconazole with AmB had the following patient inclusion criteria: Malik et al. and Winston et al. required neutropenia [absolute neutrophil count (ANC) <500 cells/mm3]; Viscoli et al. , Malik et al. , and Winston et al. included only patients with hematologic malignancies and defined “fever” as >38°C, whereas Anaissie et al. used a threshold of >38.3°C (101°F). Days on broad-spectrum antibiotics varied between 2 and 4 in four studies [18, 19, 26, 32]. These studies were statistically homogeneous, however, and showed that fluconazole was associated less often with fever than AmB. Data on ABLC vs L-AmB were also pooled, favoring L-AmB in terms of fever profile, although inclusion criteria were not given explicitly in the study by Wingard et al. and therefore could not be compared clinically. Concerning nausea, seven randomized controlled trials were available, including two comparing fluconazole and AmB and two comparing L-AmB and conventional AmB. These studies were pooled but showed no difference in nausea experienced during treatment. Only five randomized controlled trials presented data on rash, including three that compared fluconazole and AmB. Again, of these, the studies by Malik et al. and Winston et al. were clinically homogeneous, while the study of Anaissie et al. offered little information on inclusion criteria. Once pooled, there was no difference between the two antifungal agents causing rashes. Eight randomized trials reported bronchospasms, but only four used the same study drugs: fluconazole vs AmB [26, 32] and ABCD vs AmB [27, 30], where all included patients had hematologic malignancies or bone marrow transplants with neutropenia and 3 days of broad-spectrum antibiotics. The respiratory event profile was surprisingly more favorable for AmB than for ABCD. Nephrotoxicity was defined by a number of criteria across studies: a flat increase of 0.5 mg/dl over the baseline serum creatinine level, an increase of 1.5–3 times the baseline creatinine level, a peak serum creatinine level of 2.5–3.5 mg/dl, a 50% decrease in creatinine clearance, and so on (Table 3). Fifteen authors reported nephrotoxicity without definitions. The most frequent criterion used for reporting nephrotoxicity was a twofold increase in baseline serum creatinine, as described in 14 studies representing 4,633 evaluable patients. The highest rates of nephrotoxicity using this criterion were seen among patients receiving conventional AmB [33.2%; 95% confidence interval (CI) 30.7–36.0]. Least nephrotoxic among the lipid-soluble AmB formulations was L-AmB, with nearly of 15% of 797 patients doubling their baseline creatinine over 8–21 days on therapy, which still represents a sizeable morbidity associated with this drug. Severe renal injury requiring discontinuation of the study medication was reported in 4.8% of all 1,850 patients in the data set receiving AmB. In contrast, less than 1% of patients on L-AmB and ABCD were taken off the study drug due to nephrotoxicity. In addition to different definitions of nephrotoxicity, a wide variety of dosing regimens were used. AmB was prescribed at 0.6–1 mg/kg/day for 7–22 days (cumulative doses of 360–1,200 mg). ABLC was prescribed in all four studies at 5 mg/kg/day for 7–20 days (cumulative doses of 1,500–4,920 mg). ABCD was given to patients in four subgroups at 4 mg/kg/day and at 6 mg/kg/day in one subgroup. L-AmB was given in three dosages: 1 mg/kg/day, 3 mg/kg/day, and 5 mg/kg/day, with cumulative doses ranging from 1,500 mg to 3,865 mg for the latter two clinically relevant dosages. The lowest dose of L-AmB had the lowest rate of nephrotoxicity (8%). Similarly, the highest dosage of ABCD (6 mg/kg/day) had the highest rate of nephrotoxicity for that lipid formulation (29%) (data not shown). No other dose relationships or trends were apparent. In the meta-analysis, we included five randomized controlled trials that reported nephrotoxicity as a doubling of the serum creatinine level. Of these, two compared ABCD with AmB [27, 70] and were clinically homogeneous but were too statistically heterogeneous to be pooled. Three others compared L-AmB with AmB among neutropenic patients (ANC<500 cells/mm3), showing that L-AmB was less nephrotoxic than conventional therapy [odds ratio (OR) 0.40 (95% CI, 0.30–0.54)] [21, 25, 28]. Most studies reported hypokalemia either without defining the severity or by describing potassium replacement requirements. Today, potassium monitoring and replacement in patients on antifungal agents is the standard of care. In our analysis, no patients were taken off the study drug due to hypokalemia, although one patient receiving ABCD died from cardiac arrhythmias that may have been hypokalemia-induced . Details of the analysis of the specific drugs can be provided on request. Hepatotoxicity was defined in a variety of different ways, though generally as an increase in serum transaminase, alkaline phosphatase, and/or total bilirubin concentrations. The degree of reported increase varied from 1.5 to 5 times the baseline values, and in some studies depended on whether “baseline” was within the normal range (Table 4). Others used a peak total bilirubin value that ranged from 3 to 8 mg/100 ml. Most often, hepatotoxicity was defined as an increase in serum transaminase or bilirubin concentrations 1.5 times (1,424 patients) and 3 times (705 patients) baseline values. No criteria were given to describe liver injury for 2,695 evaluable patients, although 30 studies did report if patients required discontinuation of the study drug due to hepatotoxicity. For this analysis, we report increases in hepatic enzymes or total bilirubin greater than three times the baseline value or increases requiring discontinuation of the study drug, which was one of the two most common definitions and which we felt to be clinically relevant. Patients were excluded from itraconazole studies if they had underlying liver damage or had taken certain medications metabolized by the liver, such as oral anticoagulants, barbiturates, and some oral hypoglycemics, among others. Despite such precautions, itraconazole was stopped due to hepatotoxicity in 1.6% of patients (95% CI, 1.0–4.2), as reported in five studies (442 patients). In the meta-analysis, four randomized controlled trials reported hepatotoxicity in terms of increased bilirubin and serum transaminase concentrations three times above baseline levels. One study compared fluconazole with AmB and the second compared ABLC with L-AmB. The two trials comparing L-AmB and AmB among neutropenic patients (ANC<500 cells/mm3) showed no difference in the rate of hepatotoxicity between the study medications [21, 25]. In this analysis, we highlight the problems of heterogeneous patient groups, inconsistent definitions, and incomplete reporting of adverse effects in patients receiving systemic antifungal agents, all of which limit the significance of cross-study comparisons. To obtain a larger sample size, many studies enrolled heterogeneous patient populations that had differing underlying risks for adverse events (e.g., patients with baseline renal or hepatic insufficiency). Furthermore, concomitant use of nephrotoxic and hepatotoxic medications was frequently mentioned but was not systematically assessed, and most studies were open-label, which may have allowed for information biases in reporting outcomes. Allocation concealment was rarely described in the randomized controlled trials used in the meta-analysis. In addition, the use of the Q test to determine statistical heterogeneity loses power when the number of studies included is less than 30, which was the case in this analysis. We encountered difficulty in combining patient data sets due to the range of criteria and methods used to define drug-related adverse events. This heterogeneity was particularly marked with regard to infusion-related reactions, which resulted in rates that ranged widely for all study drugs. For the sake of analysis, we were required to group respiratory complications under the heading “bronchospasm or cough with or without dyspnea or hypoxia,” as no study distinguished between patients with one or multiple associated symptoms. This grouping creates a serious problem regarding confounding reasons for cough in patients who may have pulmonary fungal infections or other comorbidities. As a result, our analysis suggests that patients treated with itraconazole have a higher rate of respiratory adverse effects than those treated with conventional AmB, which is clearly not accurate. Furthermore, that no such respiratory adverse effects were reported with fluconazole could be due to the fact that fluconazole is not a drug used in the treatment of pulmonary fungal infections. Concerning nephrotoxicity, many patients could not be included in this analysis due to nonstandard or undefined criteria for reporting. In addition to varying protocols, certain studies had outlying values that affect the rates of certain adverse effects reported in this analysis. We report infusion-related reactions requiring discontinuation of ABCD at about 4%. This value includes the patient data of a prematurely stopped clinical trial in which prophylactic ABCD, administered at 2 mg/kg/day, was observed to have unacceptably high rates of infusion-related toxicity, despite the use of antihistamine and antipyretic premedications in most patients . Our analysis showed that 0.3% of patients receiving L-AmB required discontinuation of the medication due to nephrotoxicity. The discontinuation rate reported in one of the studies included was over 13%, however . The authors explained this high rate by citing the concomitant use of nephrotoxic drugs (e.g., aminoglycosides or Foscarnet), which were given to seven of ten patients on L-AmB who developed nephrotoxicity. Finally, we report hepatotoxicity requiring discontinuation of the study drug as occurring in 1% of patients receiving ABLC. There were no reports of hepatotoxicity requiring ABLC discontinuation among five subgroups consisting of 637 patients receiving ABLC. In contrast, Ringden et al. reported a case series in which ABLC was discontinued in 14 of 19 (74%) patients due to adverse effects, including 36.8% for liver damage. The authors were unable to explain this high rate, which has been refuted in subsequent correspondence to the same journal. We chose to keep these outliers for the present analysis to avoid further selection bias in our data set. Aside from phase I/II trials, we identified few published reviews that report comprehensive rates of adverse effects due to antifungal therapies for comparison. Certain data are, however, reassuring. Our pooled analysis showed that fever occurred in one-third to one-half of patients receiving AmB, ABLC, and ABCD, which is consistent with previous reports [5, 71]. On the basis of similar definitions, our findings regarding nephrotoxicity were also similar to findings in other analyses [5, 8, 71, 72]. Our analysis of clinical studies leaves many clinical questions unanswered. While we demonstrate that L-AmB is the least toxic and best tolerated of the four AmB preparations, the difference is not significant from a clinical point of view. More important, but missing from the study reports, are the clinical characteristics and outcomes of patients who switched medications due to toxicity once other therapeutic options were available. Were these patients on concomitant nephrotoxic medications? Did they have baseline renal insufficiency? How many required dialysis? Fluconazole is also “safe” compared to conventional AmB, although direct comparisons may not be legitimate given the different indications and different patient risk groups for Aspergillus vs Candida infections. Itraconazole, on the other hand, carries a considerable risk of hepatotoxicity, which should be of concern in certain patient groups. The clinical question “which patients?” remains to be answered definitively, despite growing experience with the medications. Investigators should clearly identify which patients developed elevated liver values and if these were the same patients with underlying hepatic risks (e.g., venous occlusive disease, graft-vs-host disease, baseline hepatic injury, concomitant hepatotoxic medications, etc.). From the data presented in the studies, we are unable to comment on adverse effects among patients with baseline renal and hepatic impairment, which could affect the clinical choice of an agent for a given patient. More studies are needed to identify patient profiles that make one antifungal medication clearly less harmful than another. These should be double-blinded studies in which patients, investigators, and outcome assessors remain unaware of the drug assignment for the duration of the study. These studies should have adequate sample sizes and should employ sound randomization and allocation concealment methods to minimize bias. Descriptions of patient demographics, including renal and hepatic insufficiency, should be explicit. Authors should report prescribed doses and observed doses of the antifungal agents along with the mean and median durations of treatment and the cumulative doses. Concomitant nephrotoxic and heptatotoxic medications or confounders, such as preinfusion medications, should be analyzed in relation to corresponding toxicities. Finally, there needs to be a standardization of the definitions of adverse outcomes. On the basis of the frequency that the following terms are used in the available literature, the simplicity of monitoring these variables, and the specific clinical relevance of each event, we propose the following definitions of adverse effects. Specificity of symptoms and signs is important to distinguish a drug-related reaction from those associated with the underlying fungal infection or condition. Furthermore, certain specific adverse effects have clinical implications when associated with a particular drug for the selection of an antifungal agent in a given patient. From our analysis, we conclude that “fever” and “adverse reaction requiring discontinuation of the study drug,” while important to note, are weak criteria with many confounders in severely ill patients. In addition, “rash” is nonspecific and may describe a variety of skin manifestations, including local skin irritation at the infusion site. These, therefore, should not be used to describe acute drug reactions in clinical trials. Nephrotoxicity due to AmB therapy is mediated through direct toxic effects on renal tubular cells, as well as through vasoconstriction. Both processes reduce glomerular filtration . Serum creatinine concentration, which is the measure most frequently used to assess renal function, has inherent variability with regard to individual patients due to the influence of muscle mass and the tubular secretion of creatinine. In addition, this measure can underestimate the true degree of renal impairment in terms of glomerular filtration rate. A more accurate estimate of renal function is the creatinine clearance. The Cockroft–Gault formula used to estimate creatinine clearance in patients with stable kidney function has been shown to correlate reasonably well with a patient’s actual glomerular filtration rate and may also be more appropriate than serum creatinine concentration for tracking acute changes in renal function during antifungal therapy . We therefore suggest that “nephrotoxicity,” measured during the treatment period and up to 3 days after discontinuation of the study drug, be defined as an increase in serum creatinine of greater than two times the baseline value or a 50% decrease in creatinine clearance from baseline, as estimated by the Cockroft–Gault formula: creatinine clearance=([140−age]×weight in kilograms)/(72×serum creatinine [mg/dl]) . Ideally, both values should be reported to allow for comparisons between studies. Baseline refers to the value just prior to the initiation of antifungal therapy. On the basis of this review, we recommend that “hepatotoxicity,” measured during the treatment period and up to 3 days after discontinuation of the study drug, be defined as an increase in serum total bilirubin or transaminase concentrations greater than two and three times the upper limit of normal concentrations in patients with baseline normal liver functions. Patients with comorbidities such as graft-vs-host-disease, venous occlusive disease, and shock should be identified in studies where there is an association with elevated liver values. In summary, numerous problems and inconsistencies exist regarding study protocols and the reporting of toxicity data for available systemic antifungal agents. Results of this and other comparative reviews remain questionable, given such heterogeneity. To clarify relative toxicities, standard definitions that are universally applicable and clinically relevant are warranted. Furthermore, toxicities should be stratified by patient characteristics, and the use of concomitant nephrotoxic, hepatotoxic, and preinfusion medications should be explicit. Financial support was provided by the Programme Hospitalier de Recherche Clinique 1993 on aspergillosis, the University sClaude Bernard Lyon 1, the Groupe de Recherche sur les Infections Fongiques, and Merck and Co.